These Light-Weight Waffle Weave Shower Curtains are a good choice when needing solid color, decorative shower curtains at an economical wholesale price. 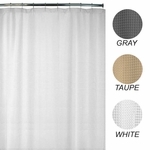 Made of 100% polyester, these light-weight Shower Curtains are woven into an attractive waffle weave pattern. Machine washable for repeated use (see "Care Instructions" under "Details" tab). 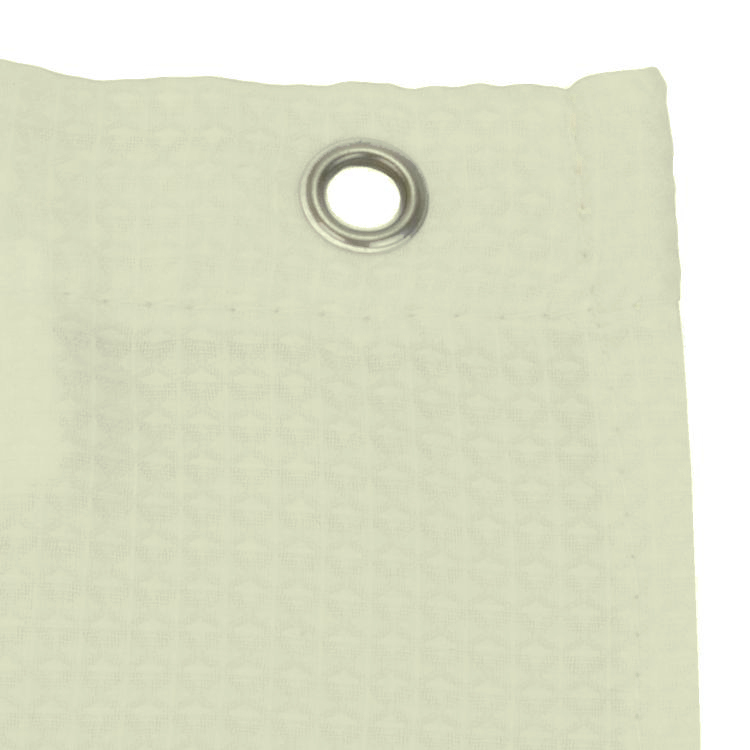 For added durability, metal grommets are used around the hook holes to prevent tearing. 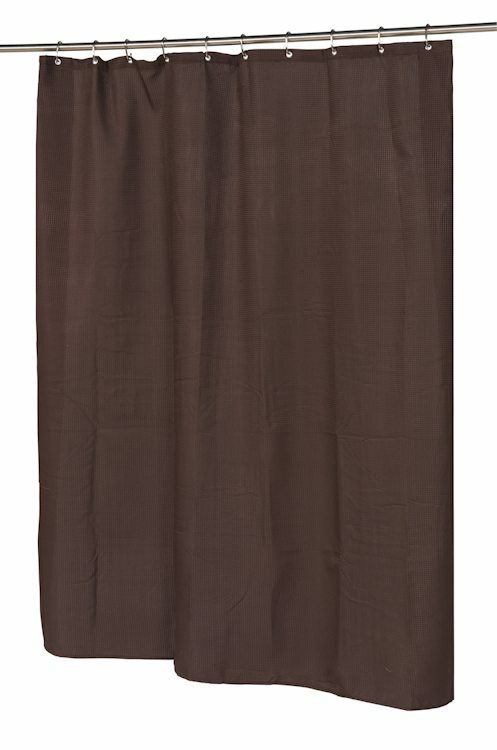 Instantly freshen the look of your bathrooms with these attractive light-weight waffle weave shower curtains. 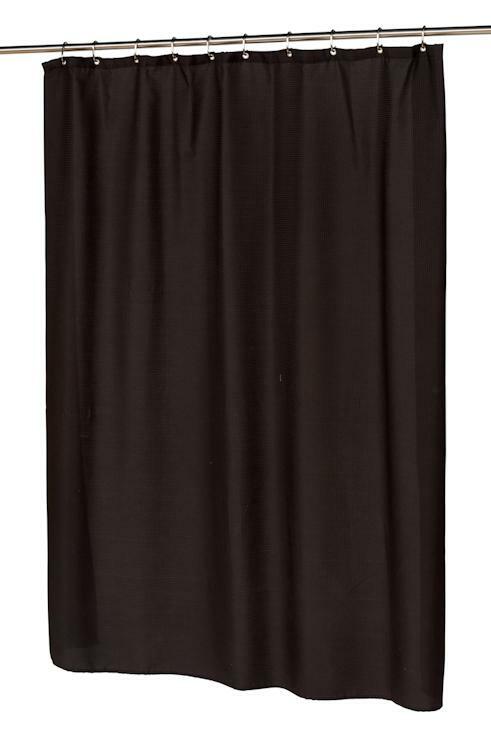 Purchase wholesale in bulk by the case of 24 shower curtains with Free Shipping. 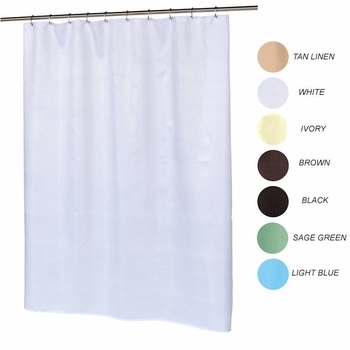 Choose from 7 solid colors to match your bathroom decor. 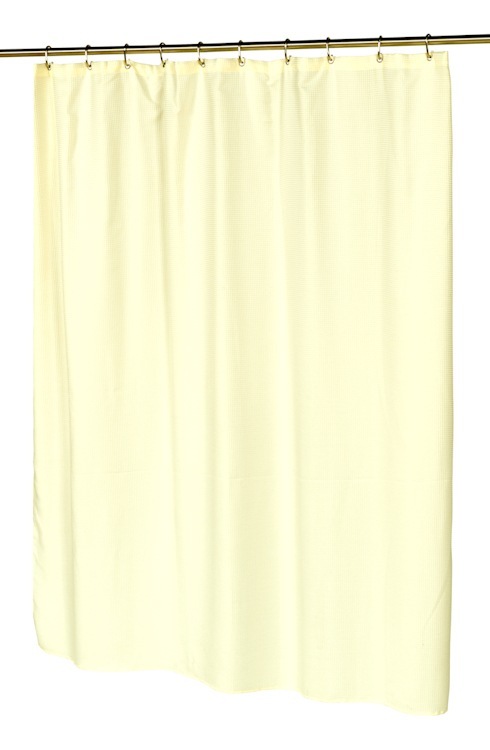 Fabric Shower Curtain - Light-Weight, waffle weave fabric (100% polyester). 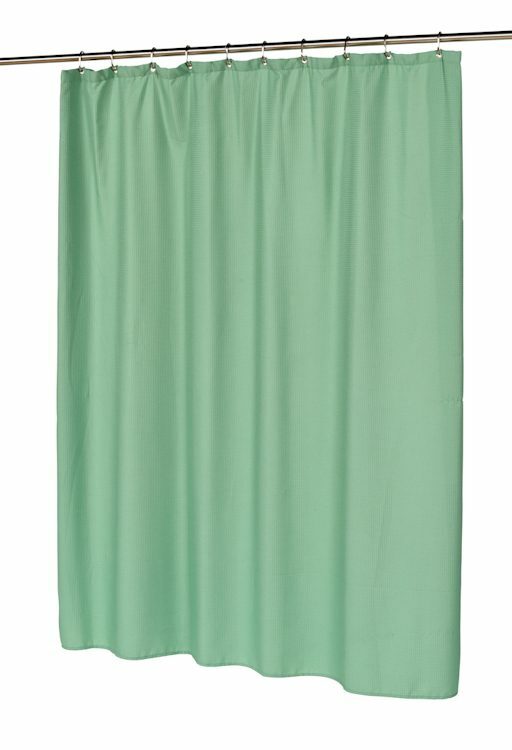 Easy-care Polyester - machine washable, fast drying (see care instructions below). 12 reinforced metal grommets - prevents hook holes from tearing. 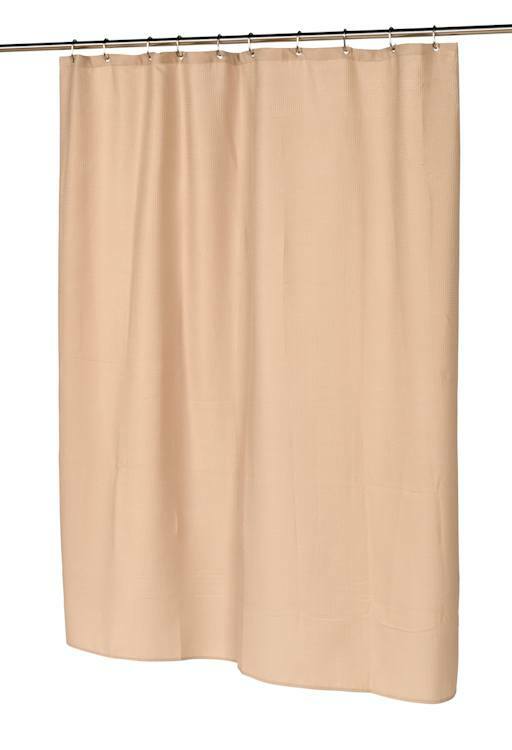 Available in 7 solid colors: Tan-Linen, Ivory, White, Brown, Black, Sage Green and Light Blue. 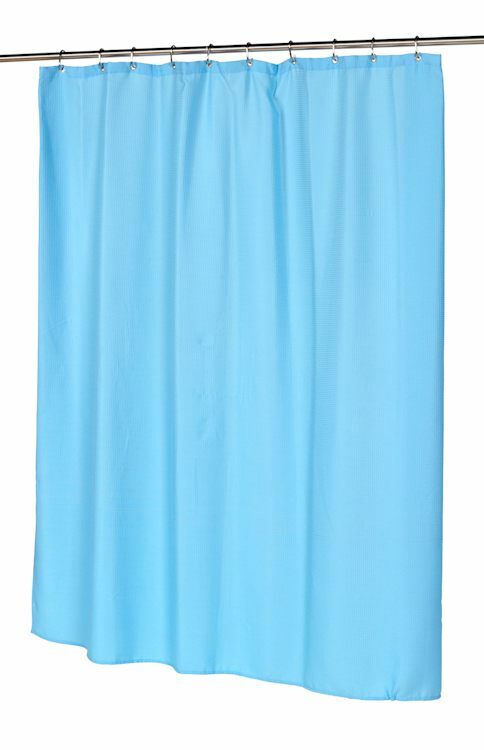 Hang Dry or Tumble dry on low / no heat for a few minutes. ***Drying Note*** 100% polyester dries extremely quickly. 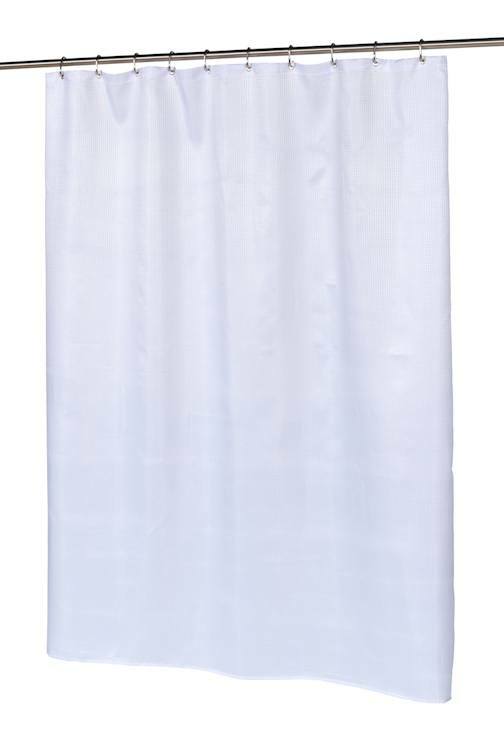 Over heating or dying too long will shrink the curtain and / or reduce the life of the shower curtain.